English <-> French glossary containing over 3000 entries (approx. 14000 words) pertaining to the world of patents and intellectual/industrial property, by Sebastian Abbo and Pierre Saconney, European patent attorney. 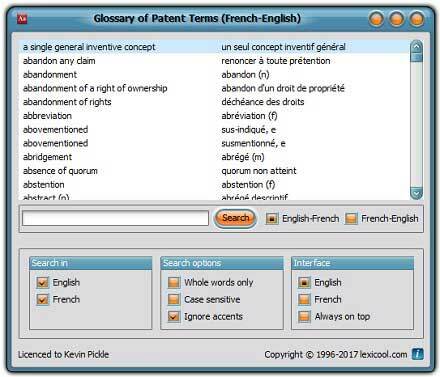 The glossary is mainly intended for professional translators and those working in the field of international patents.